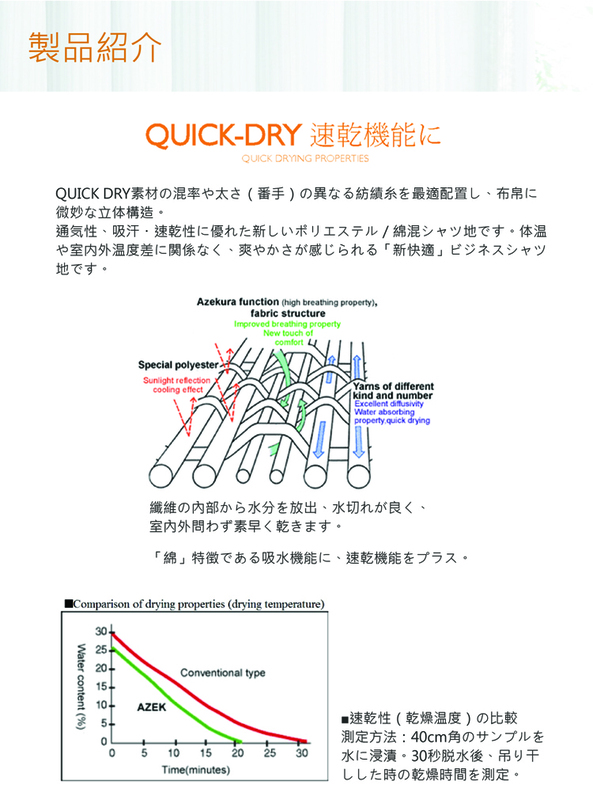 QUICK-DRY finishing speed-up the drying properties of the fibre. With a high permeability chemical with an absorbent fibre yarn combination; moisture from the fibre inside the infiltration of water can be quickly release, discharge and maintain in an excellent dry effect. It enables the fabric in an often dry and comfortable state.